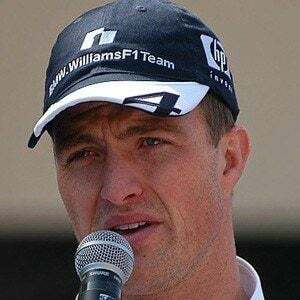 Former German Formula One racer whose career spanned from 1997 to 2007. He started racing on his parents track at age three. He won six races over an eleven year-long career. He was married to Cora Schumacher from 2001 until 2015 and they had a son named David Schumacher. His brother Michael Schumacher was also a very successful Formula One racer.